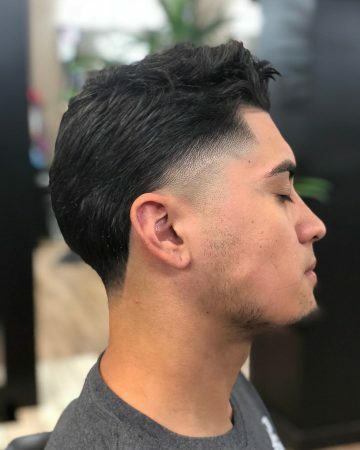 If you’re anything like us, then you probably feel charmed by the taper fade. 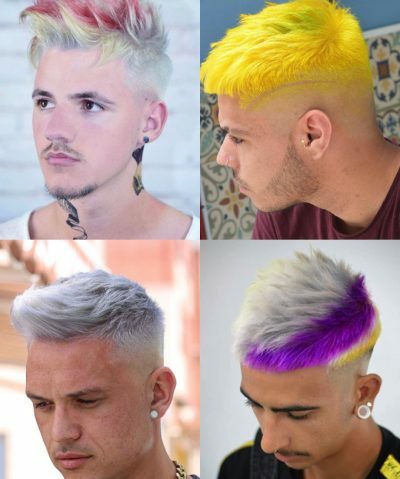 It has totally stolen the spotlight of the men’s hairstyle world. 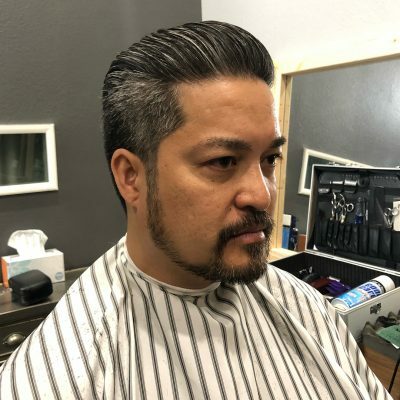 Honestly, when was the last time you saw a short-haired man with long sides and back? 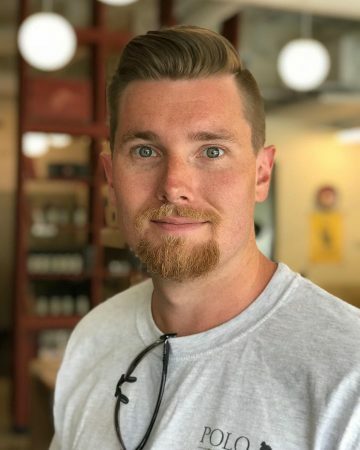 We’re not at all surprised – it is one of the most practical haircuts, which generally looks really, really good. 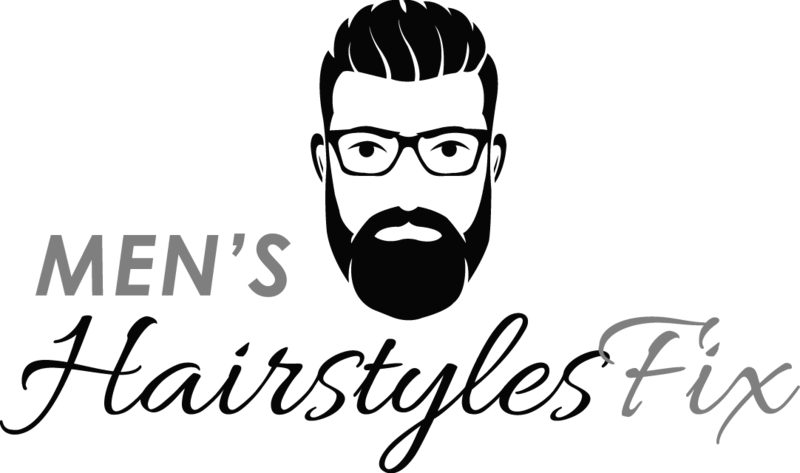 So – today we’ll be sharing with you our 20 favorite taper haircuts for men. Keep reading, get inspired – and go book those appointments at the barber! 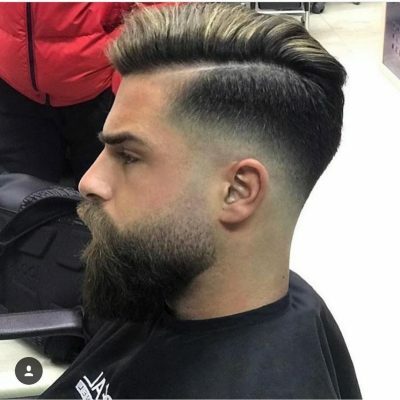 This hairstyle is a mix between a taper and a fade – generally combining the two works really well. 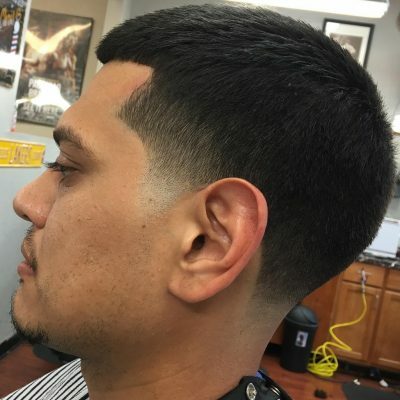 This means shorter or nearly shaved hair at the bottom, which gradually gets longer as it moves towards the crown of the head. 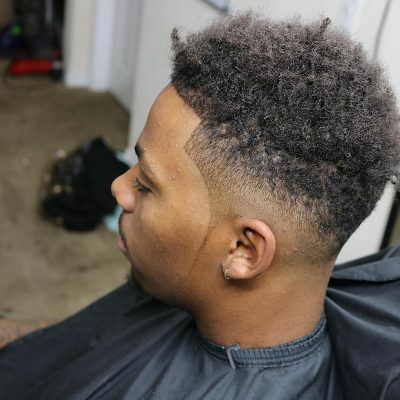 If you’ve been living the dream with Afro hair – then a taper fade haircut may be a good option for you. Makes it much easier to look after your hair – which can make a massive difference when you’re looking after an Afro. 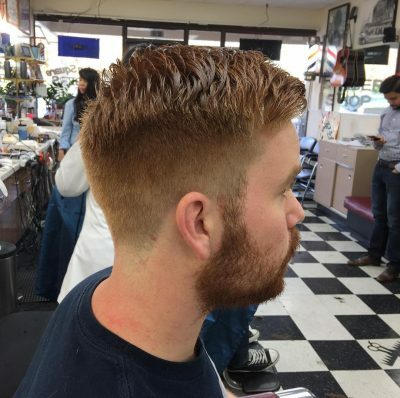 Check out this beautiful cut for someone who likes more hair on their head (but still wants a taper cut)! 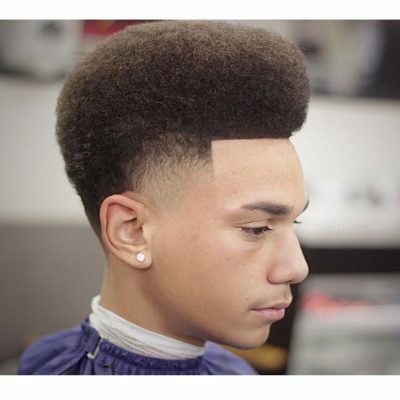 This is exactly what differentiates a taper from a fade – the length. 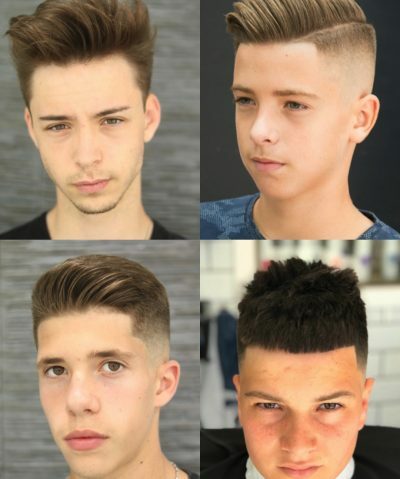 A fade cut can go as short as shaving your sides entirely – while a taper will leave some hair on the sides. This is a style we absolutely love – and so should you. Check out the volume – it’s inspiring! Most of us will never be able to achieve it – but those of you who can, go for it (and make me forever jealous!). 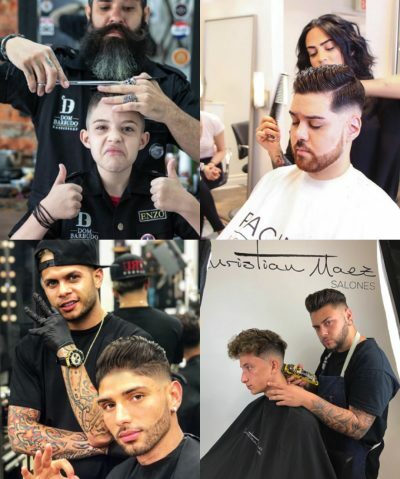 Taper haircuts are extremely versatile – and they will work with any type of hair, whether it’s long, short, curly or straight. 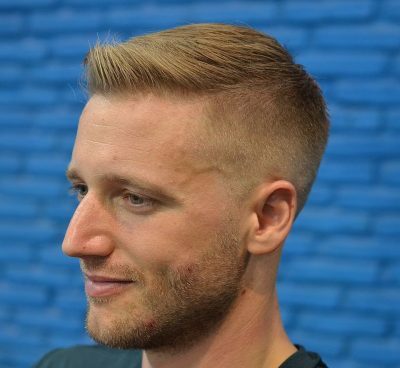 This is a simple taper cut you may want to try if you’re a short-haired man whose motto is ‘less is more’. 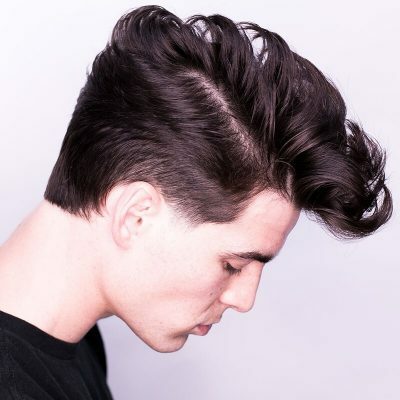 For stand-out styles like a combover, tapered sides are a fantastic addition. 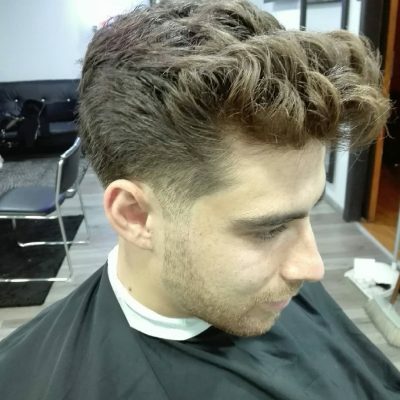 The shorter length creates a nice and clean look on the sides, allowing the top to shine. The slicked back hairstyle is one of the ultimate classics – and it’s unlikely to ever leave the fashion world. 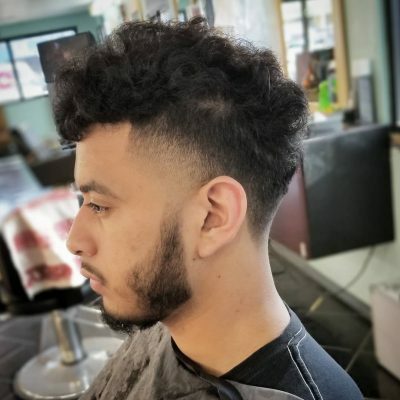 It works perfectly with a taper fade as the hair on top is the key element with the tapered and faded sides complementing it. 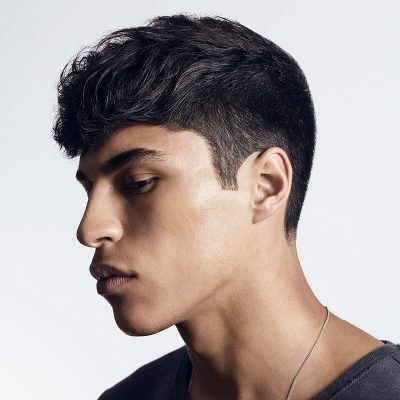 This is an example of longer tapered sides, which create a sophisticated, more serious look. 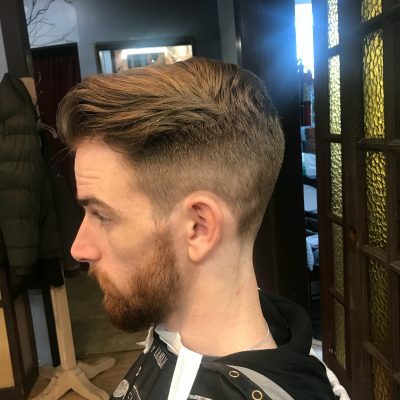 Tapered sides can be any length to complement your haircut, and for those who would like things to remain a little more conservative – longer tapered sides might be perfect. 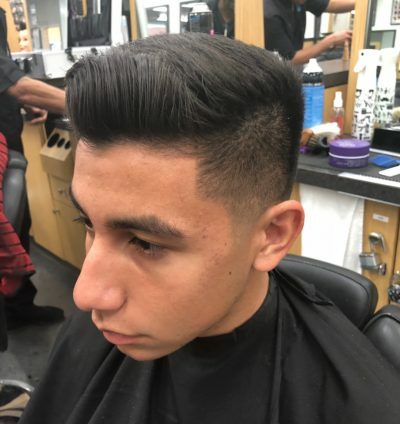 Another cool taper fade with a classic combover. 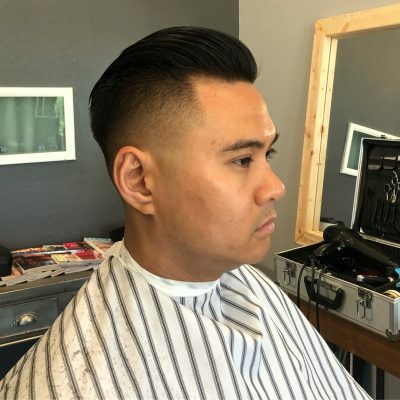 It’s an elegant look – and is fairly easy to style, as long as you have some pomade to hand! What we love the most about this cut is the contrast between the short/ shaved sides and the messy, bird-nest-inspired hairdo! 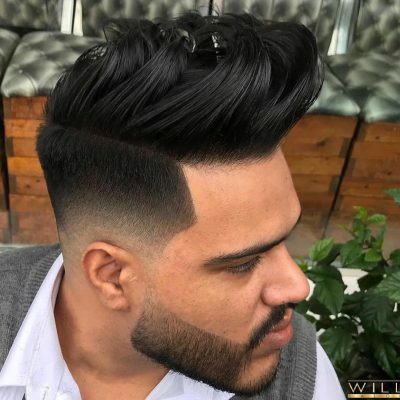 Leave your hair on top longer with shaved/ tapered sides, and you’ll be surprised at how well the two different lengths work with each other. The quiff is an undying hairstyle – and if you’re a classy man, you may well want to try it. 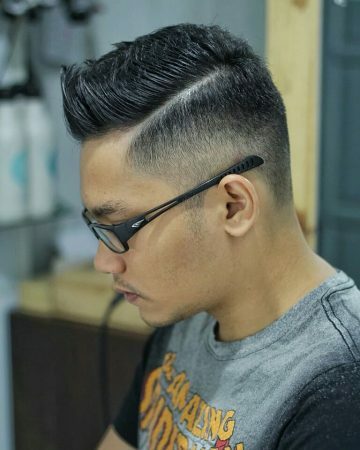 Combining it with tapered sides adds a bit of a modern edge, making the hairstyle look less 1950s and more today. There’s nothing we dig more than a messy and big cut! Plus, who has time to style hair in the morning anyway? I’d much rather be out the door the moment I wake up – wouldn’t you? A heavy fringe can do wonders in reducing the size of your forehead – but mostly we dig it because it just looks so rad. 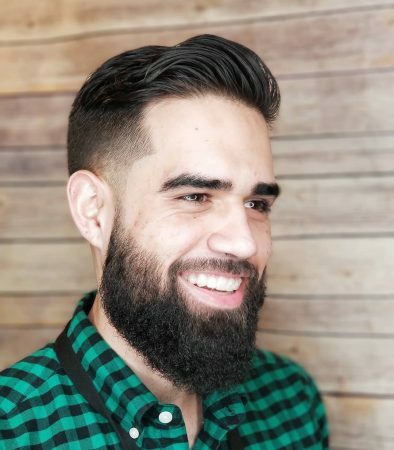 Ask for a short crop with a taper cut and you’ll be the trendiest dude in town. 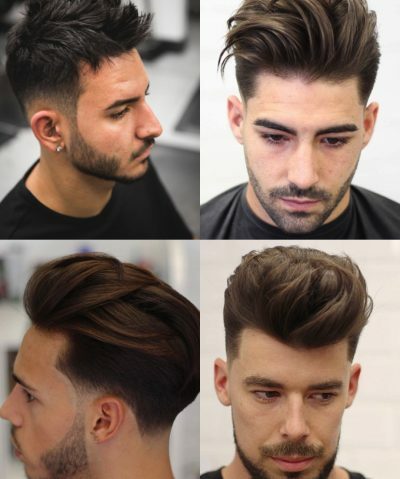 A pompadour will always have a special place on our hairstyles list – and combined with a taper, it’s bound to turn heads even more. If you’re into attention and compliments (who isn’t? ), then you should give this hairstyle a go. 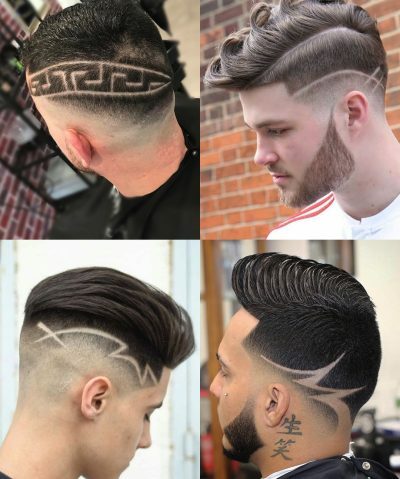 A fantastic cut for the trendiest folks out there. Mushroom brown highlights are optional. Not a look for a shy guy – but definitely a look that’ll turn others green with envy. You’ll need fairly long hair to pull this off – and lots of pomade and hairspray. A side part achieves both elegance and contemporary charm. 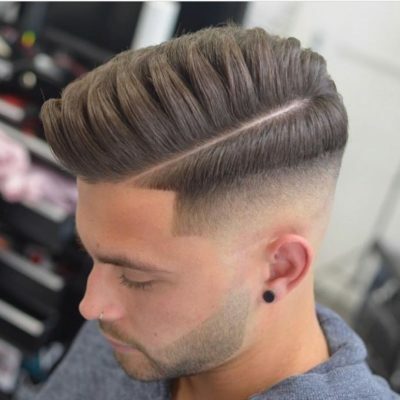 When combined with a taper fade, it also gets a boost of edginess – which is why we think it’s the perfect match. Life isn’t all about fancy hairstyles – sometime simple works just as well. Here’s a simple crop with a couple of inches left on top + taper fade – and we totally dig. This is an awesome style for someone who has wavy to curly hair – a heavy fringe will only accentuate the texture of your hair. A charming side part combined with an edgy taper fade = a match made in heaven! 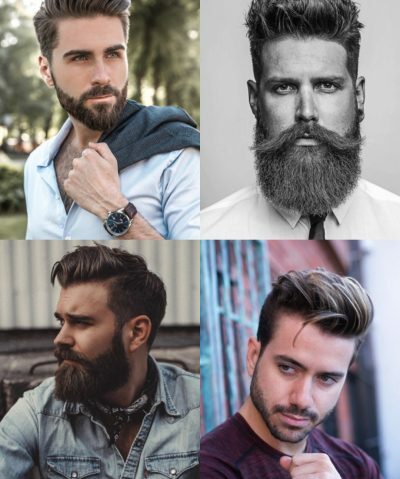 Use some pomade or wax to style the look – and grow a beard for a particularly masculine outcome.